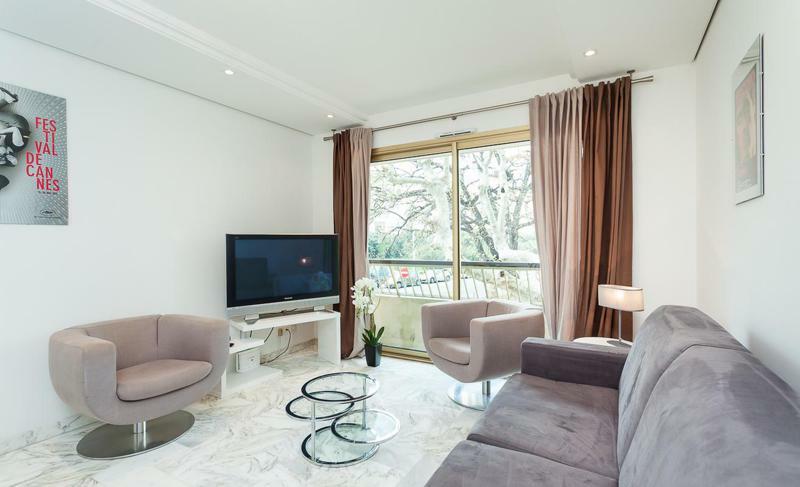 A modern 2-bedroom Cannes apartment with tasteful décor and all the must-have amenities is where you could be staying during your next conference or festival. 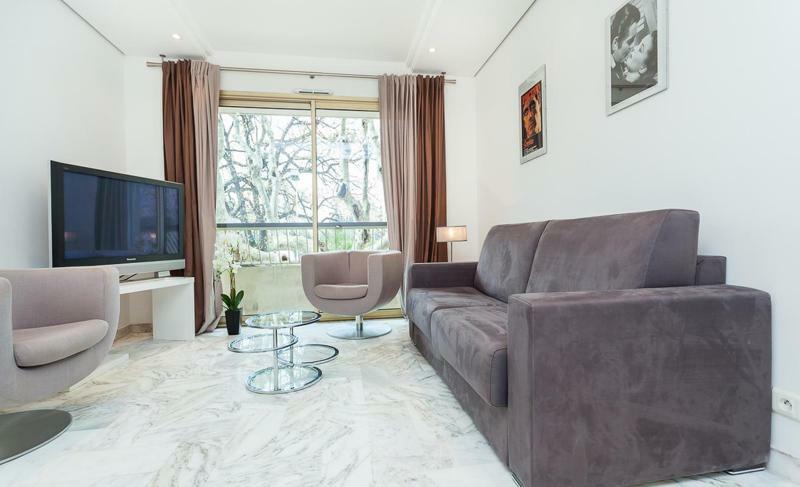 Located still within the city limits of Cannes, this apartment is just outside of the Cannes "banana" and makes for a peaceful place to stay and get a good night's rest. 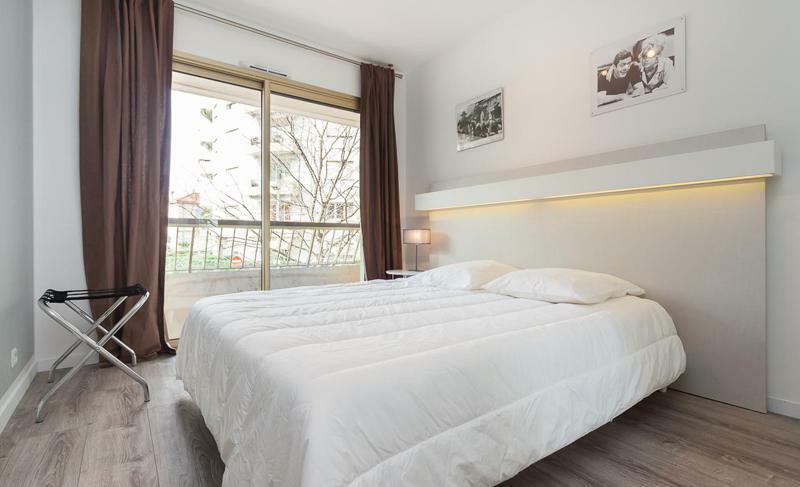 The apartment is 70m2 total and offers beige hinted tones throughout the accommodation. 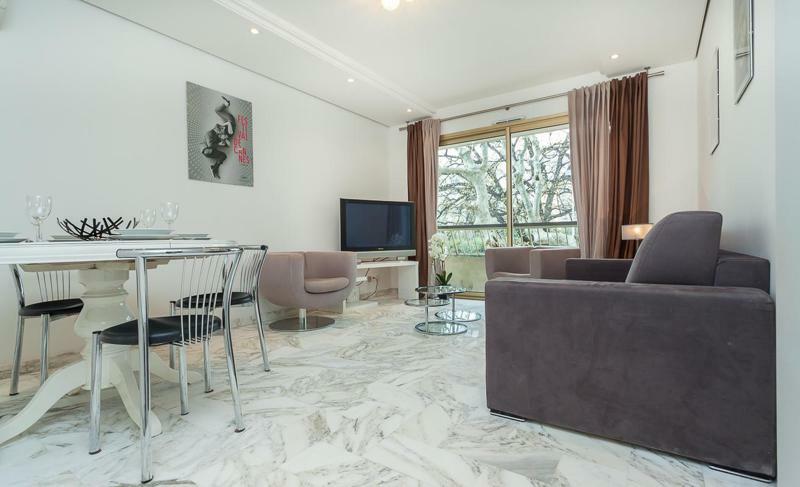 The marble flooring and white walls contribute to a minimalist and modern feel. 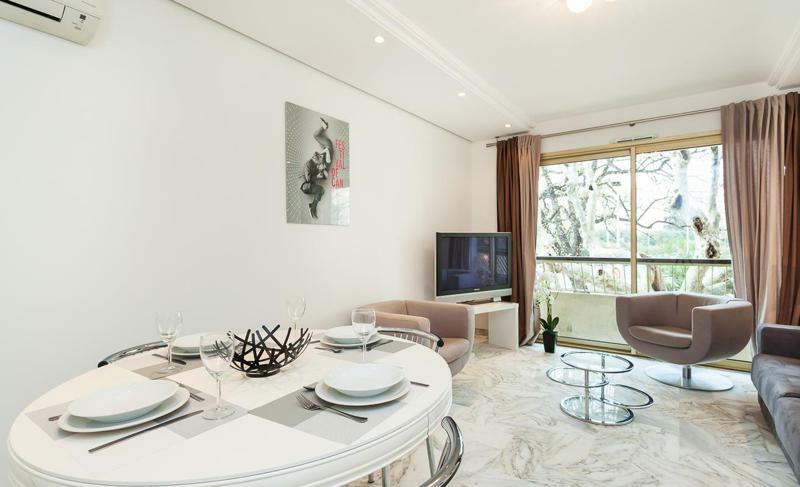 The furnished living room with a dining table in the open dining area and views from the private balcony is where you can enjoy a big breakfast before a long day of attending events and meetings. 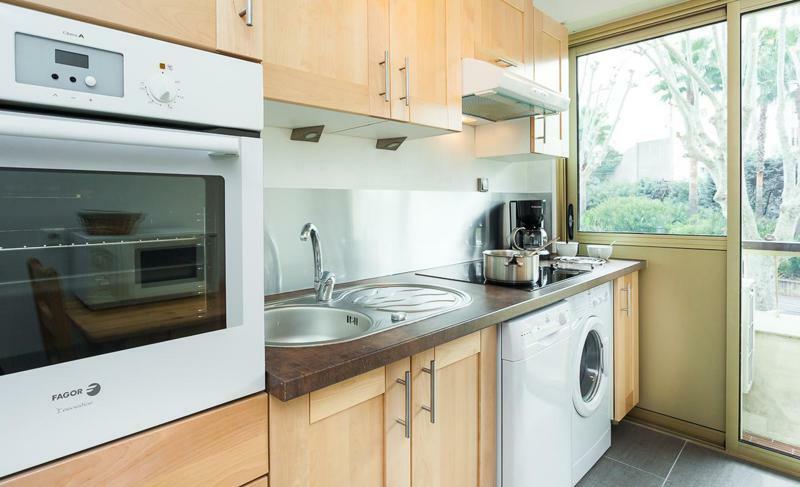 The kitchen offers all the necessary amenities and appliances, like a dishwasher, a microwave, a Nespresso machine, a refrigerator and an oven. 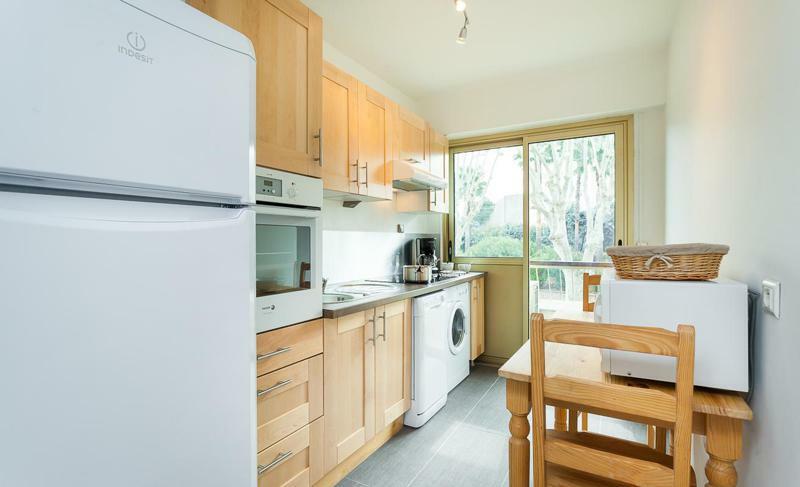 The wooden cabinets and drawers make for a warm atmosphere where you'll enjoy preparing your morning cup of coffee. 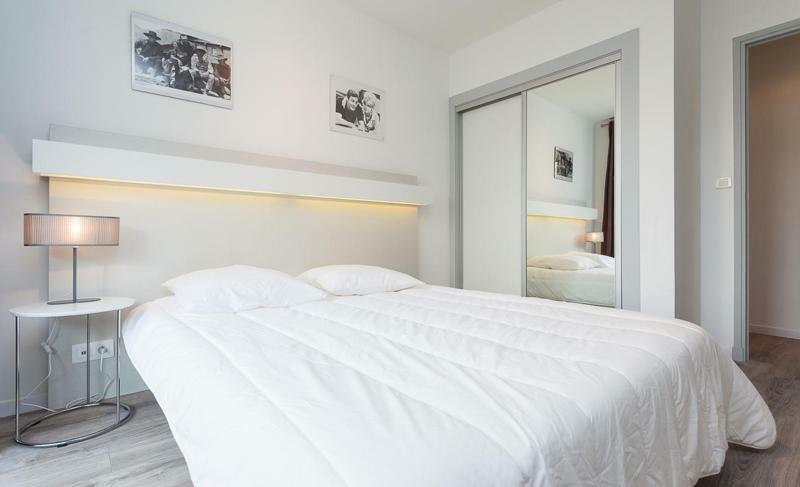 The first of the 2 bedrooms comes with a comfy white double bed where you can recover from a long day at the Palais des Festivals. 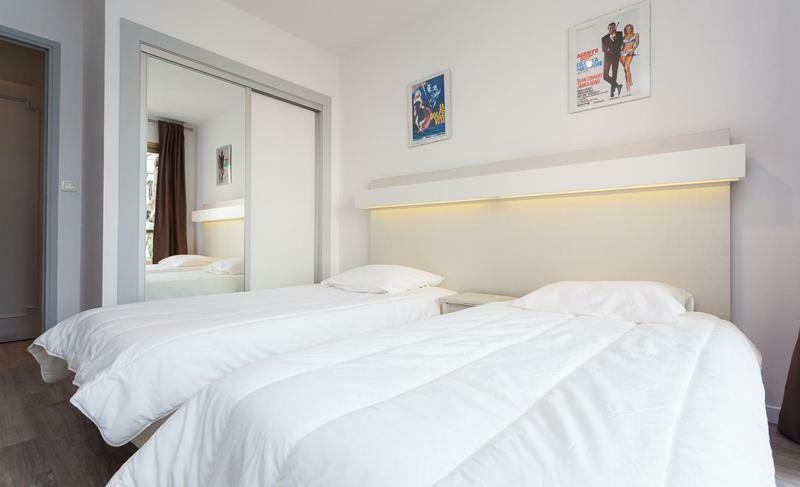 The second bedroom offers 2 single beds so you and 2-3 delegates can comfortably enjoy your stay in Cannes. Each of these bedrooms opens up to a terrace with Cannes views. 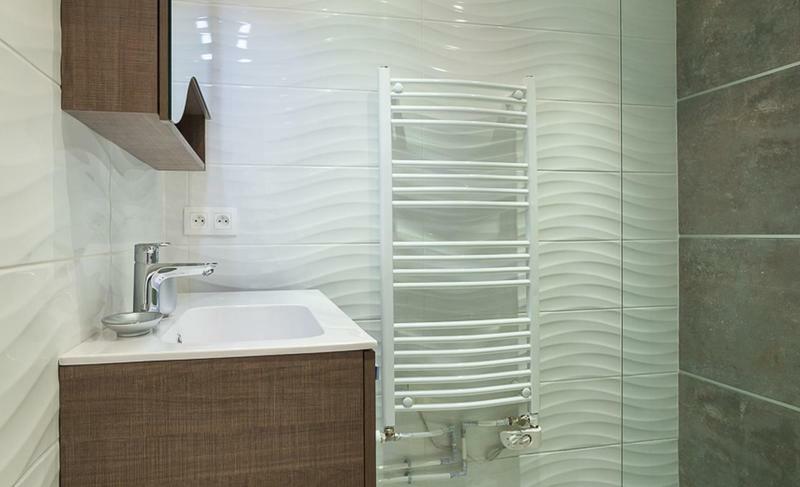 There's an independent bathroom with a toilet and shower with sleek and modern design. 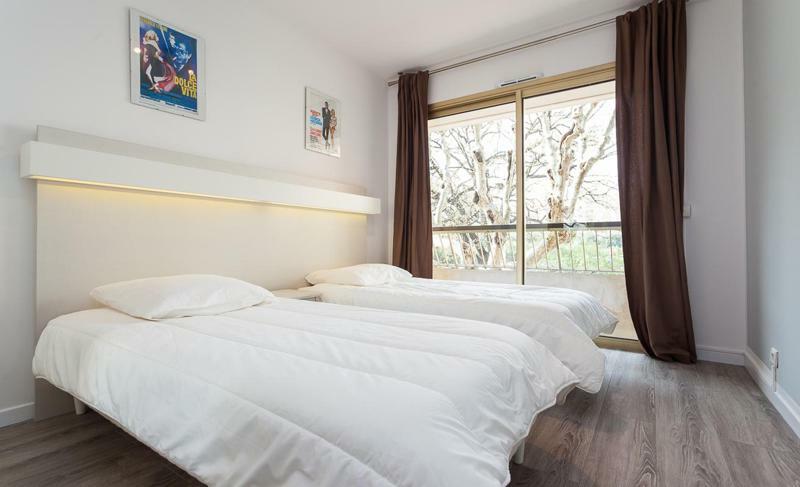 For an affordable, comfortable, and stylish apartment in Cannes during your next festival or fair, this is a great option in a tranquil and residential area. 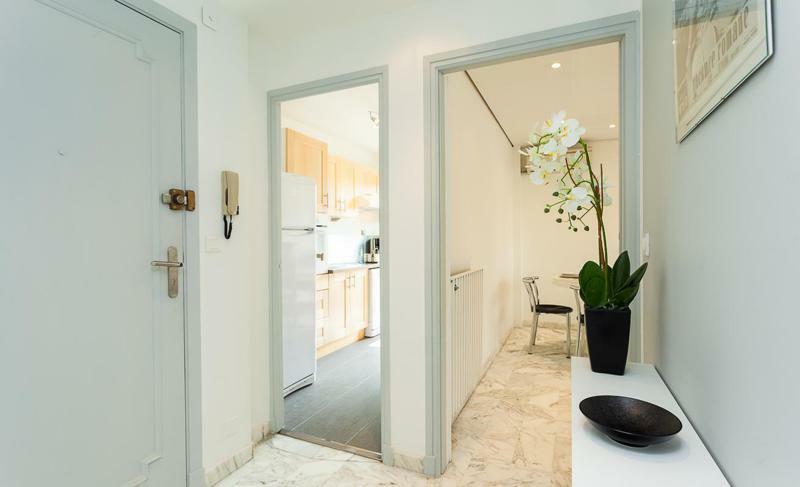 For extra convenience and comfort, this Cannes rental apartment has an elevator in the building.